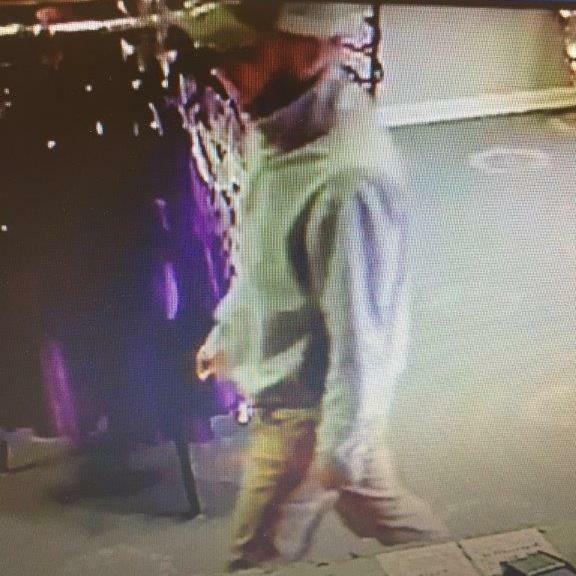 On April 17, 2017 the Kingsport Police Department was alerted to a series of burglaries to Studio 6 Women’s Boutique, located at 1880 North Eastman Road in Kingsport. Over the previous week, an unidentified suspect had unlawfully entered the business on multiple occasions, outside of regular business hours, and surreptitiously stolen cash from various sources to include the cash drawer, their prepared deposits, and petty cash. $91 was stolen on April 11, $50 was stolen on April 12, $140 was stolen on April 14, and $15 was stolen on April 17. The suspect appears to be somewhat familiar with the layout of the store, standard business practices, and the location of at least some of the security cameras. Since the discovery of these crimes, new security procedures have been implemented. As there was no sign of forced entry in any of the above instances, and the doors were found to be locked after the crimes, it is believed that the burglar has somehow been able to obtain a key; however, none of the current employees recognized him from surveillance video. The locks have since been changed. A photograph of the suspect, taken from store surveillance video footage, has been included in this release. He appears to be a white male adult, with a beard, in his late 20s to early 30s. At the time this particular image was captured, he was wearing what appeared to be khaki work-type pants, a pull over long-sleeved fleece shirt, and a ball cap. Anyone who recognizes him or who may have any additional information to assist with this investigation is asked to contact Detectives in the K.P.D. Criminal Investigations Division at 423-229-9429 or call Kingsport Central Dispatch at 423-246-9111.